Set in the heart of the Cape Winelands with renowned wineries on your doorstep. Close to both Franschhoek and Stellenbosch, Lekkerwijn offers you a traditional warm hospitality within breathtaking surroundings. All our guest enjoy a memorable experience. Lekkerwijn offers a unique and memorable experience for singletravellers, couples or families. A historic Cape Dutch Homestead with magnificent gardens set in the heart of the Cape Winelands. 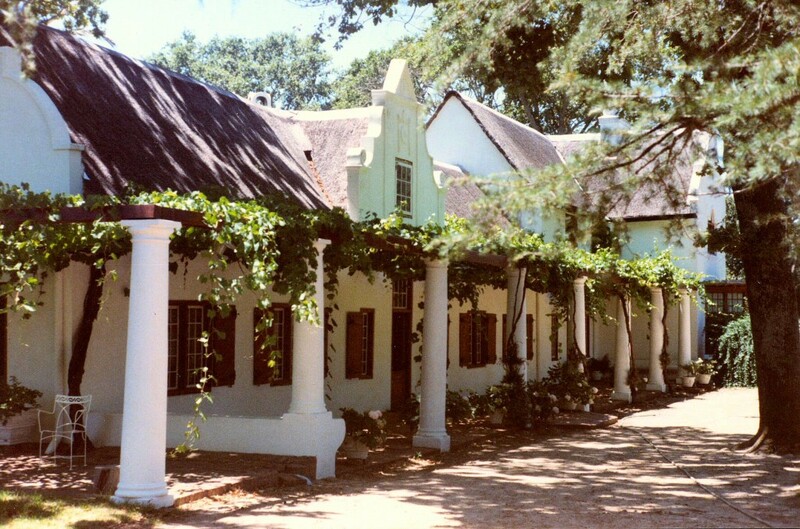 Lekkerwijn is a guest house offering bed and breakfast accommodation with evening meals upon request. We provide beautiful accommodation and traditional warm Cape hospitality that caters for both those in need of a tranquil break and the modern traveller. We also welcome families; parents can sample the local wineries and restaurants whilst their children are being well cared for in the Homestead by our professional nanny. Lekkerwijn is also available for exclusive use by one party with staff service provided. Lekkerwijn is ideally situated for visits to the abundance of wineries in the Franschhoek valley – Boschendal, Allee Bleue and Solms Delta are all within walking distance. We are well positioned for easy access to the historically interesting towns of Franschhoek, Stellenbosch and Paarl. We can offer you a chauffeur service to wherever you want to go – restaurants, wine tasting, site-seeing, and shopping or something more energetic like horse riding, hiking or golf. Or perhaps you have a special occasion in mind –a wedding reception, an anniversary or a children’s party? Whatever you want to celebrate, we will work with you to create a truly unforgettable experience in Lekkerwijn's intimate environment. Lekkerwijn is also the perfect venue and environment for corporate events – workshops, training, team-building, meetings and client entertainment. We look forward to welcoming you to Lekkerwijn, where you can capture the heart of the Franschhoek Valley.